Go Realty Unplugged: How Safe are You When Showing Homes? How Safe are You When Showing Homes? October is Realtor safety awareness month. Bet you didn't know that did ya?! I started thinking about the risks we take every day as Realtors and the geek in me instantly said, "I bet there's an app for that!" After researching a few the one that I feel is the most promising is Guardly. Guardly is a free download from the App store that will alert five chosen contacts and/or 911 that you are having an emergency my interest called Guardly. . When you alert your safety network that you are having an emergency the program will send a message via text and email that you are in trouble. For the duration of the incident Guardly will keep track of your whereabouts, even if you're on the move. Other features include real-time location updates, the ability to load a photo from your phone, and a loud "whistle". 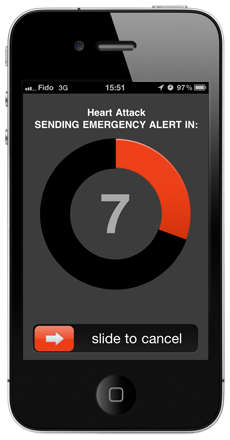 The paid version of the Guardly app introduces the concept of an "emergency conference" If you launch a Guardly (Premium) alert, your contacts will not only receive emails, texts, and phone calls, but they will also be given the option to enter into a "live incident feed" where the user, and the emergency contacts can communicate in real-time through instant message or phone calls. The paid version costs $1.99/month. I encourage you to download the app as we will be implementing some company-wide safety policies this month. If you would like to preview the paid version of Guardly you can click on the "Run a Emergency Simulation" button in the main screen of the mobile app. But before you do, be aware that your emergency contacts will receive alerts! The alerts will clearly state that that it is a test emergency, but you should still inform your contacts ahead of time so that they don't panic. Check out this quick video below!